The first major update to Windows 10 in 2018 may very well be known as the ‘Spring Creators Update,’ judging by a screenshot grabbed by IT Pro Today’s Richard Hay through a tipster and shared on Twitter. Hay claims to have found a direct mention of such a Spring Creators Update inside the ‘Bug Bash Quest’ within the Windows Insider community. Microsoft gives its most supportive Windows Insiders early Windows 10 code with the mission to help it identify bugs and other issues. Since this leak of information, Microsoft has removed references to a ‘Spring Creators Update’ from the Quests section of its Feedback Hub tool, replacing them with simply ‘R4 update.’ However, that does little to nothing in covering up any connection between the two. ‘R4’ is a dead ringer for ‘Redstone 4,’ which is widely known by the insider community to be the next and fourth major update to Windows 10 since its July 2015 launch. 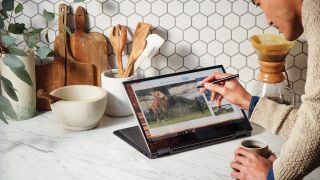 It’s safe to assume that the marquee features – of which this aforementioned security tool will almost definitely not be – within the big Windows 10 update will largely focus on creative professionals and prosumers. This will be the third of such update to cater directly to this crowd, and it makes a lot of sense. If Microsoft wants to continue to push its own hardware devices – not to mention that of partners that purchase its OS – as the perfect hardware for hip and cool creative types jumping around the media and startup scenes, it needs to back that up with software that delivers on those promises. So far, we know that the so-called Spring Creators Update (or Windows 10 Version 1803) will feature ‘Sets’ and ‘Timeline’ as headlining tools that will reorganize how we work in Windows as well as the ability to download fonts from the Microsoft Store and more Fluent Design features. We’ll likely know what the official title for Microsoft’s first big 2018 Windows update is when it’s revealed at this year’s Build conference. In the meantime, expect even more convenient ways to work and create this year from Microsoft.